Today I am featuring a very easy neighbor gift that can be made in minutes. 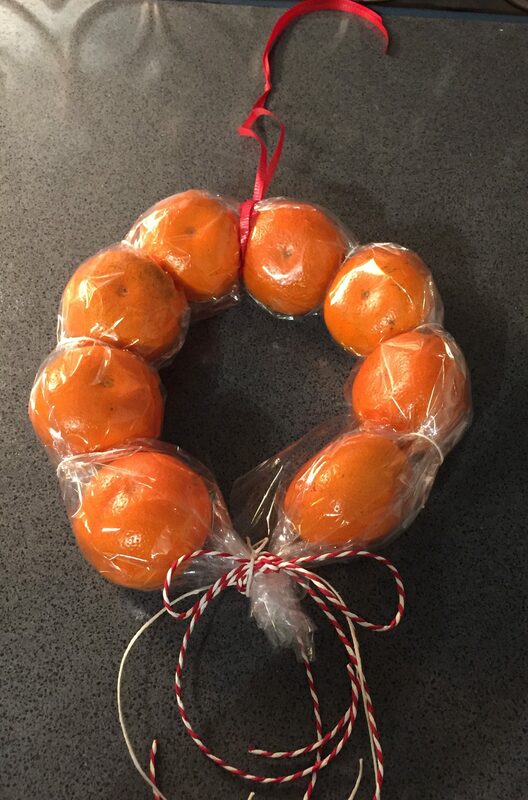 A mandarin orange wreath. You will need a bag of mandarins, a roll of cello wrap (I got mine at the Dollarama) some twine or ribbon. 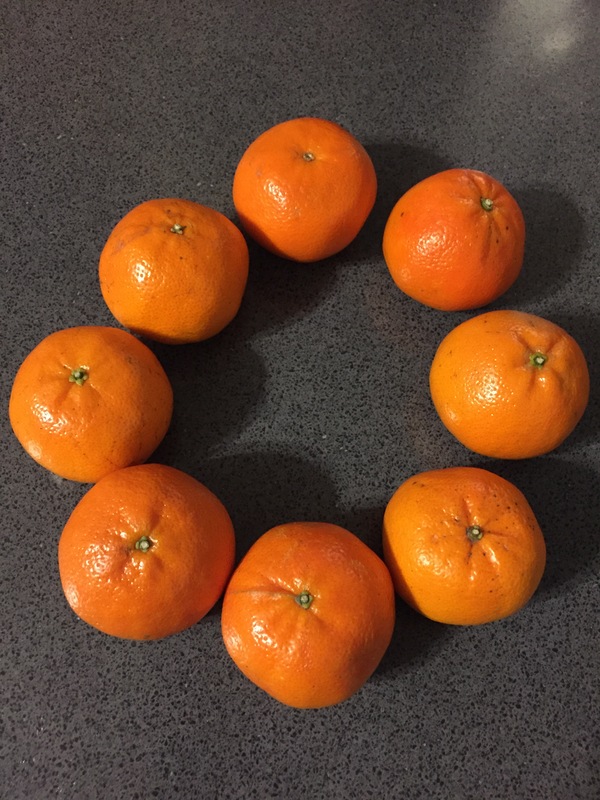 I decided on 8 mandarins for my wreath. 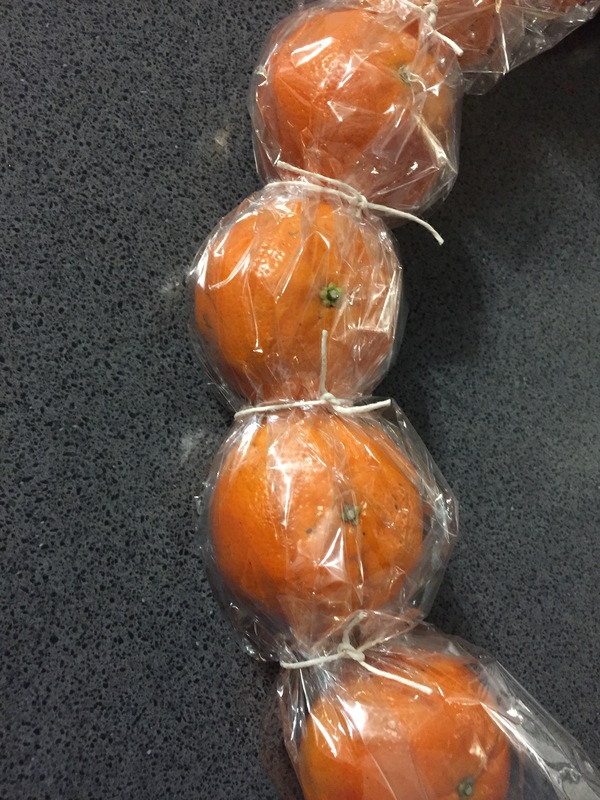 Cut a piece of cello wrap wide enough to wrap around the mandarins and long enough to allow for a tail to tie ribbon at the end. Use twine in between each mandarin to secure in place and then form into a circle. Use your twine or ribbon to secure the end tails and add a ribbon at the top. Cute, thoughtful and under 30 minutes. It’s been a great deal of fun preparing for this event, and I can’t wait to show you what Wandaful Things I’ve been up to. 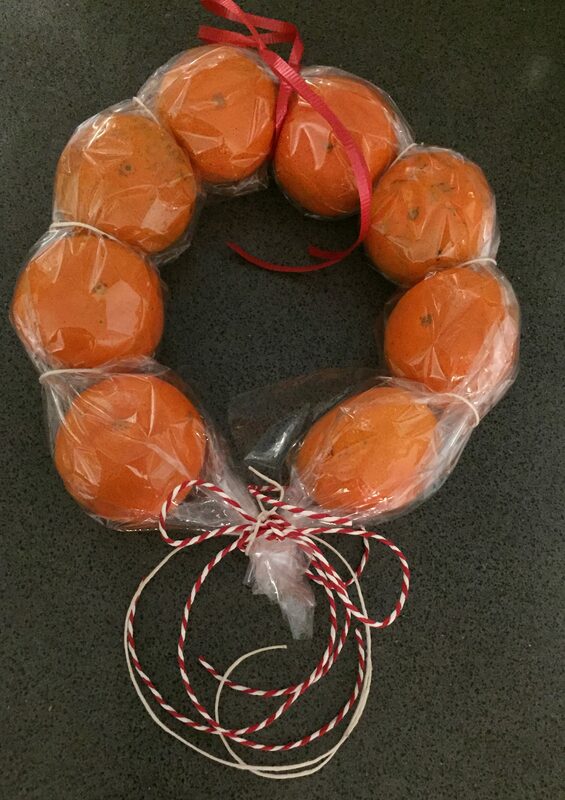 This entry was posted in 12 Days of Christmas, DIY, Make and tagged 12 Days of Christmas, cello wrap, cheap, Christmas, Crafts, creativity, Decorate, DIY, easy, ideas, inexpensive, living, mandarins, neighbor gifts, simple. Bookmark the permalink. your right this is a nice hostess gift. Good job!